Bolivia is a country of immense natural beauty. In the west the dramatic Andes Mountains tower over high altitude arid plains and mirror-still lakes. The central areas contain lush, fertile valleys. And to the east is the vast Amazon rainforest. Add to this the immense salt desert of Uyuni, the largest salt flats in the world, and beautiful Lake Titicaca, the Earth’s highest navigable lake, with its Sun and Moon Islands, and you begin to understand the lure of Bolivia. National parks and reserves cover about 15% of the country and protect varied ecosystems and habitats. 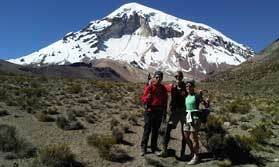 Among them Sajama, on the Chilean border, is a high altitude park with lakes and a backdrop of volcanoes. It’s ideal for trekking, and has thermal springs where you can ease away any aches and pains. 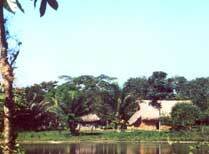 Madidi National Park links the Andes and the Amazon, and is a mecca for nature and wildlife enthusiasts. Explore on foot and by boat, take night walks and spend time in a local community. Most visitors arrive either at La Paz, the highest capital city in the world, or Santa Cruz de la Sierra in the east. La Paz sits in a steep-sided canyon with buildings clinging to the sides and there’s now a cable car you can take to the top for amazing views. Santa Cruz is in the lowlands at the end of the Andean foothills and is among the fastest growing cities in the world, it is an interesting mix of old and new. By now you’ll have gathered that Bolivia is a country of superlatives, and offers a huge range of attractions and activities. You can stay in a hotel made of salt, visit a witches’ market, see the country’s past grandeur in the colonial buildings, visit a silver mine, explore the ancient archaeological site at Tiwanaku, go deep into the rainforest, or trek in the mountains. 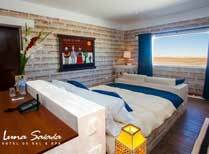 Let us help create your dream holiday in Bolivia. These vary depending on location. April to October are considered to be the best time to visit Bolivia. 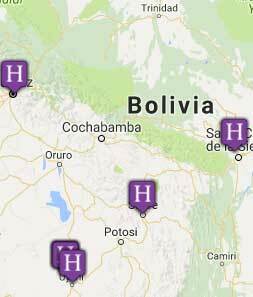 For more detailed information have a look at the best time to visit Bolivia page. This varied itinerary shows the highlights of Bolivia, a perfect introduction to this beautiful country. 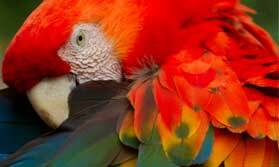 Explore the beautiful Bolivian Amazon rainforest on this 4 day trip. 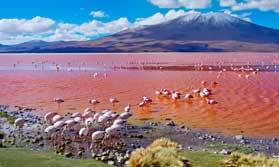 Explore Sajama National Park and experience culture, landscapes and scenic beauty. 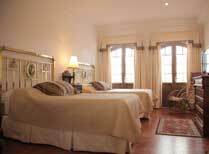 Below you'll find some of our very favourite places to stay in Bolivia. However you can also see our full directory of properties by clicking the "All Places to Stay" button.